After hearing State Senator Kevin De Leon talk about a .30 caliber magazine clip being fired in half a second (view the video HERE! ), Jerry Miculek had to put the California Democrat’s fictional gun gear to the test. Disappointingly, the old pro was not able to produce the impressive rates of fire De Leon spoke about despite following the politician’s suggested modifications. 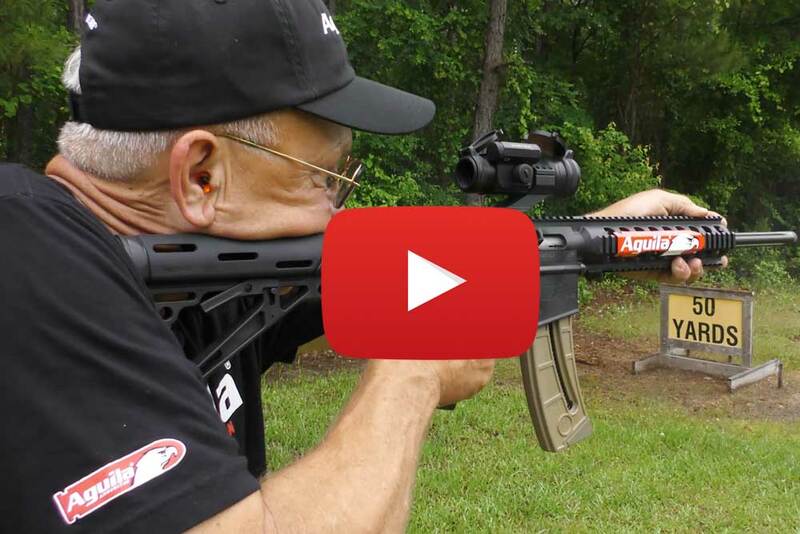 While the magazine clip proved to be functionally useless, Miculek stilled gleaned an important lesson from his experiment. That is, firearms enthusiast should keep their ears peeled when those who write their state’s and our country’s legislation start talking about guns. Their ignorance or knowledge on the topic will form the bedrock of the laws they propose. You need the Gun Digest Book of the AR-15 Series Set! Even people that have been around guns all of their lives misuse “clip” and “magazine”. In fact, what I was TAUGHT IN THE MILITARY was that a “clip” was removable and a “magazine” was not. The point is, nit-picking is counter-productive. It does NOT accomplish anything REAL with respect to illustrating the ignorance of legislators. What IS relevant is “rate of fire”. However, I wonder if the legislator didn’t MEAN 30 rounds in FIVE seconds – which is exactly what you did – instead of 30 rounds in 0.5 seconds. If he was reading from cue cards, he could have mis-read it. Don’t get me wrong. I’m not defending these stupid idiots, but NIT-PICKING is COUNTER-PRODUCTIVE. It GIVES the sons of bachelors “plausible deniability”. You are GIVING them excuses AND looking like you are “unreasonable” at the same time. More importantly, this TRIVIA – that’s exactly what it is – deflects from the REAL issues of their ignorance. If you want to see how many “rah rah” posts you can accumulate because you “beat up” on a stupid anti-gunner, I suppose this works as well as anything. But for people SERIOUS about the ignorance and stupidity of legislators, this is fuel FOR THEM!